Chennai: The two warring factions of Tamil Nadu's ruling AIADMK spent May Day hardening their stance, bringing merger talks on brink of failure. The camp led by former chief minister O Panneerselvam has issued an ultimatum to the much larger faction of chief minister E Palaniswami -- fulfill key demands by Tuesday evening. Else, sources said, the OPS faction will put an end to talks and disband the seven-member committee formed for the purpose. 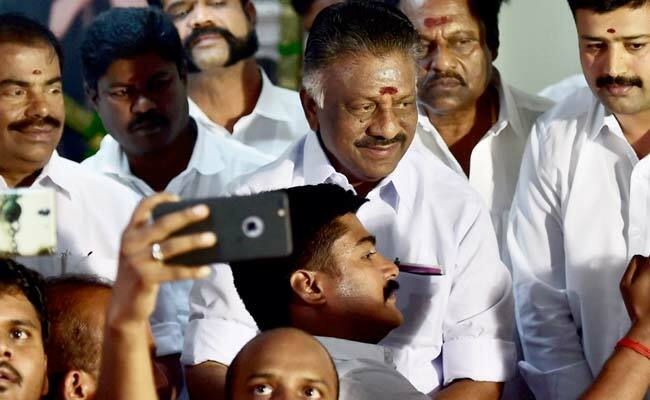 Signalling their readiness to take hard measures, Mr Panneerselvam, sources said, is all set to launch a statewide tour from May 5 meant to prepare his supporters for the coming local body polls. It is also a show of strength for the faction which started with less than a dozen legislators against the EPS faction's 120. The two official demands of Mr Panneerselvam is the expulsion of VK Sasikala and her nephew TTV Dinakaran, and a CBI inquiry into former Chief Minister J Jayalalithaa's death. Chief Minister Palaniswami is yet to say yes. The real bone of contention between the two camps is the post of the chief minister. "How can we trust the EPS camp?" Mr Panneerselvam said on Monday, referring to the affidavit EPS camp got signed by party cadre to present before the Election Commission in its claim for the party's Two-Leaf symbol. The affidavit carries the names of Ms Sasikala and Mr Dinakaran -- which the OPS camp cites as proof of their continued clout in the party. Chief Minister E Palaniswami, who has officially announced the sidelining of the two leaders, today said he and his supporters were ready for unconditional talks. He, however, claimed that the faction led by him "would get Two-Leaf symbol, as majority of MLAs are with us". Mr Panneerselvam filled in twice for Ms Jayalalithaa when corruption charges forced her to quit office; after her death, he was Chief Minister till EPS replaced him at Ms Sasikala's instance. Ms Sasikala was Ms Jayalalaitha's closest companion for years and appropriated control of the party. When she made an attempt to also be Tamil Nadu Chief Minister, Mr Panneerselvam rebelled. Ms Sasikala's ambition to be Chief Minister was crushed by a Supreme Court order sending her to jail in a corruption case. A day before leaving for jail, Ms Sasikala ensured that Mr Palaniswami became Chief Minister, she had also installed her nephew Mr Dinakaran, once expelled by Ms Jayalalithaa, as AIADMK's deputy chief. Mr Dinakaran was arrested this week for attempting to buy the AIADMK's symbol of two leaves, which the Election Commission has declared out-of-use till it decides on which faction of the party is the real deal.